Welcome to the 2019 Blackhawks Max Shacknai Invitational! We are again anticipating close to 500 teams, including the more than 110 teams from other states, regions and countries that participated in 2018. You can expect the utmost in quality as we are extremely proud of our venues and the level of competition this tournament has to offer all participants. Lace up your boots and come be a part of a QUALITY Soccer experience! 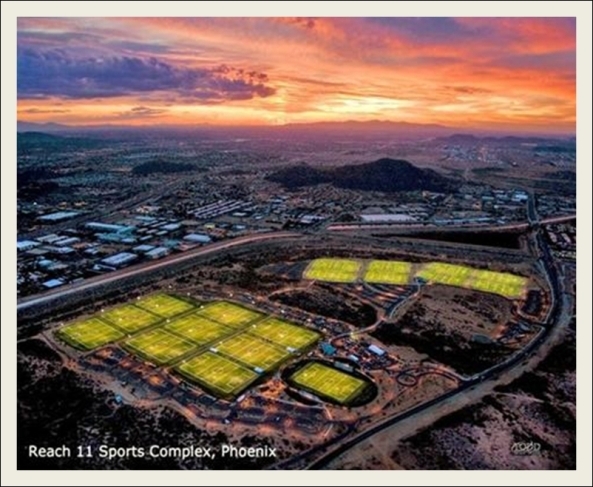 Played at the Scottsdale Sports Complex and the Reach 11 Sports Complex, sites of the 2011 US Youth Soccer National Championships, the 2012 Region IV Championships and the 2016, 2017 & 2018 ODP Regional Championships, as well as Chaparral Park, Rose Mofford Sports Complex, Red Mountain Soccer Complex and Quail Run Park, coupled with beautiful Arizona weather, a phenomenal weekend of soccer is in store for players, coaches and spectators alike. USYS Mandated Guidelines will be followed for ALL Age Groups- Click HERE for specifics. Coaching Conflicts: A maximum of two (2) teams in group play. Friday Night Play: ALL Phoenix area teams will be considered for Friday games. Scheduling: We CANNOT schedule around ANY League Games outside of the BHI. YOU must plan accordingly. Lodging: We ARE a Stay and Play Tournament this year. Please see the information at the left sidebar. Refunds: Registration Fees are non-refundable once your team has been accepted. Please read through the Frequently Asked Questions and Answers, to the left, before you send us an email. We often receive the same question many times and we have tried to address many of these concerns to avoid wasting your time and getting you your answer right away. Also, many questions can be answered by reviewing the rules and information on the left as well. Please feel free to contact us if you still have a question.